We are available as emergency locksmith BARNET, ENFIELD, CHINGFORD, NORTH LONDON, HERTFORDSHIRE and surrounding areas. Then call your local locksmith. 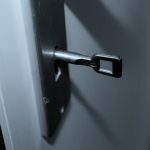 At Unique Locksmiths Barnet we understand how important your property’s security is. For this reason we are available as emergency locksmiths in London. If you have a problem that can’t be resolved immediately, we will get it sorted within 24 hours and make your property secure in the meantime.